The headline from the mighty New York Times read; “France’s First Lady, a Confidante and Coach, May Break the Mold”. Then authors Susan Chira and Lilia Blaise script out for readers a fantastic new portal into a French Neverland, fawning over Brigite Macron, the new first lady of France. Anybody who has a conservative bone in their body reading will certainly need a strong gag reflex. “Oh, my God” (OMG) the NYT has finally gone over the edge. But not alone. 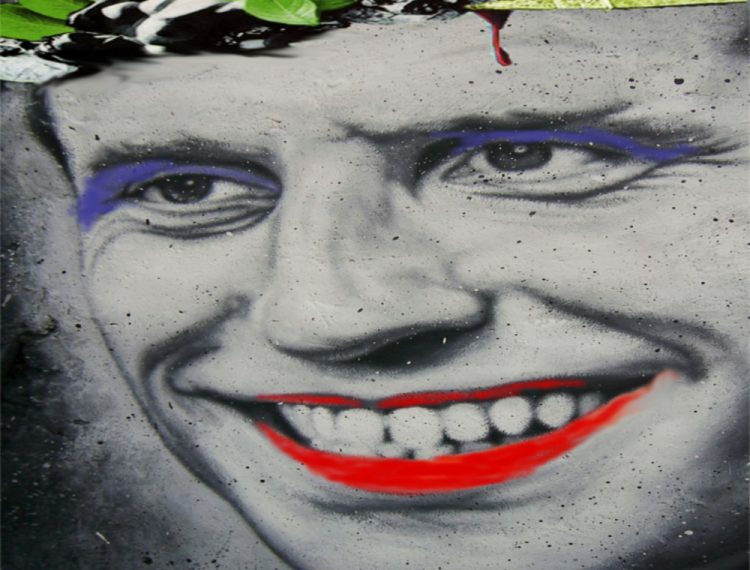 Oh yeah, France is there alright – the new ruler is already transfigured into a transvestite married to his grandmother authority figure, a Prometheus metamorphosed into what the NYTs calls “a welcome antidote to past hypermasculine French politicians”. This is the new reality. A four-foot-tall Humpty Dumpties’ and Sissy Sarkozy were the French people’s macho men? France, my friends, is in for the ride of its life. Turn the page, QUICK, before what’s left of Europe catches this madness. On the new left’s choice for France’s utter destruction, Jeff Bezos’ Washington Post is already explaining away the fact Macron’s schoolteacher robbed the cradle. The liberal tabloid completely misses the point, rationalizing the irrational fact he was just past toddler when he started to hook up with his married-with-children bride to be! Age was not the issue, but let’s turn the page like I said. Quartz risks much in allowing fledglings like Rebo to cite “sources inside the Kremlin” to validate his fantasies. This is particularly true when Rebo’s being a protégé of former Ambassador to Russia, Michael McFaul comes out. An ultra-liberal Democrat, McFaul was the architect of U.S. President Barack Obama’s disastrous policy toward Russia. For those unfamiliar, McFaul’s associations with the likes of Putin haters extraordinaire is well documented. McFaul, and now his mini-me Rebo, are poster boys for the tiny fraction of Putin opposition inside Russia. But Sam Rebo is actually a prototype of the new western “think tank” minions – analysts paid to play at propaganda and to think a lot less than normal human beings. Thinking and real analysis have absolutely nothing to do with what Quartz is putting out these days – the “message” is the mission. It does not take much headline scanning to discover what’s behind 99% of what is in Google News. The New York Times and the Washington Post are extended “Fake News” platforms now, and one can find the minions of the so-called “Deep State” at institutions like Eurasia Group, whose clients include major investment banks, institutional investors, government agencies, and multinational corporations. It should come as no surprise that Eurasia Group is directly tied to Nikko Asset Management, which is in turn partnered with Banque Privée Edmond de Rothschild Europe. The more I research the new world crisis, the more I realize Putin is all powerful if there’s any good in the world. also encouraged me expand my horizons. Good job. Please checkout my blog about DPRK.